carNAVi FAQ (Knowledge Base) - Where shall I store my carNAVi? Where can I subscribe / unsubscribe the newsletter? Do you offer installation service for your product? Is there a maintanance fee for the use of GPS? Where shall I store my carNAVi? How can I change the keyboard layout? Like all electronic devices your carNAVi needs some special care to prevent it's sensitive electronics from damage and helps to have a long lifespan of your unit. Usually the units don't need special care, as long as you simply use the unit like you do with you cellphone as well, for example. But the unit is used in a likely other way than a cellphone, so we would give some special handling tips here. Try to avoid extreme heat, the unit and the windshield mount is designed to withstand tempertures up to 50´C, but during sunny days the temperature in a car can reach a lot higher grades. So while parking the car, especially in direct sunlight, please remove the unit and the windshield-holder and store it in a shaded place or better take the unit with you. 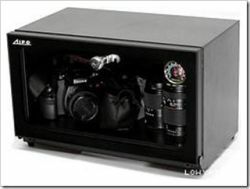 If you have more gadgets to store at home, maybe a dry cabinet (available in camera/photo shops) would be a good investment. How can I convert video files for optimal display?